Join Whole Foods in Tustin and Chef Cintia as the kids whip up some kid friendly recipes that are easy, fun and delicious. Having a hard time getting your kids to eat healthy? If so, bring them to this hands-on class! They’ll be talking about why it’s important to color your plate with healthy foods. 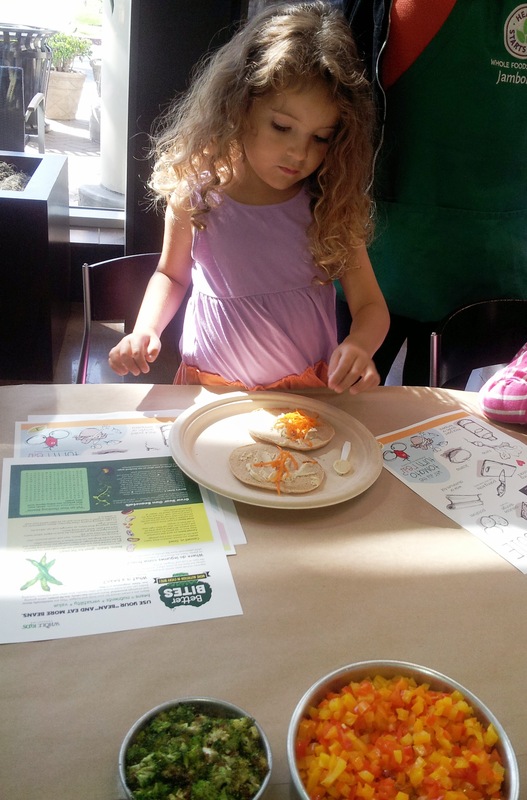 Chef Cintia will be sharing some kid friendly recipes that are easy, fun and delicious. Tonight’s kids cooking class theme is “Power Snack”. 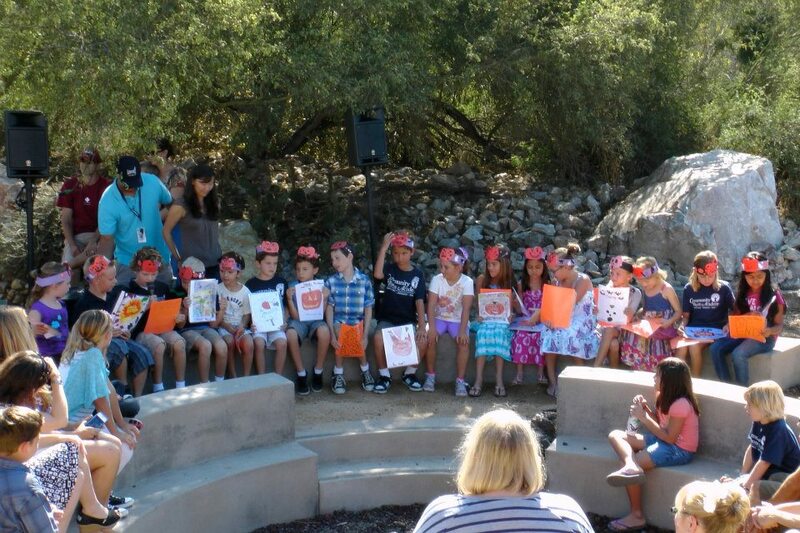 My kids love these classes and always get to try something new and healthy. 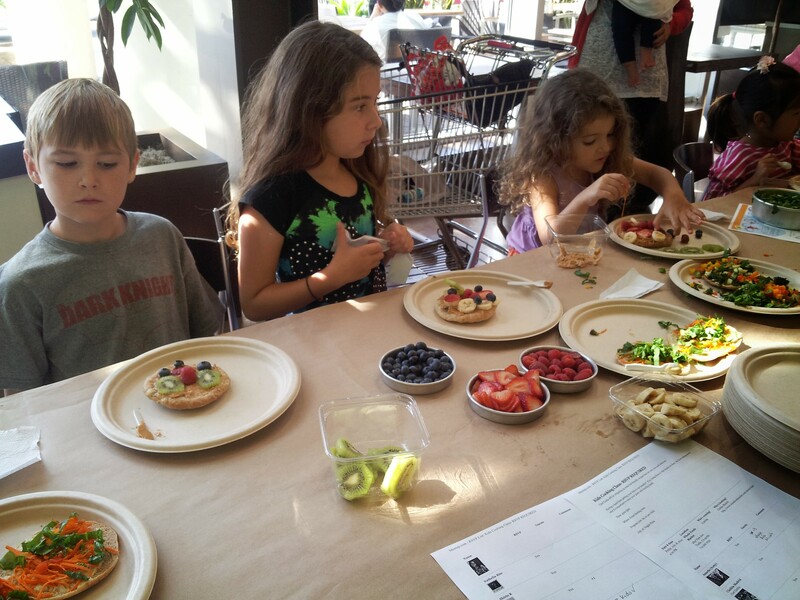 If your having a hard time getting your kids to eat healthy, bring them to this hands-on class! They’ll be talk about why it’s important to color your plate with healthy foods while making some delicious treats. As much as I love to cook, some days putting dinner on the table is the last thing on my mind until it hits about 3:30 p.m. – then panic sets in. Those are the times I need a panic free quick & healthy dinner right now. Well, Tuesday was one of those days, luckily I was given a package of Modern Table Meals, Southwest Red Lentil Rotini for a review. Trying hard to put the “it was all part of the plan” look on my face, I brought out some frozen turkey (yes, it was still frozen yet somehow I managed the quickest defrost ever), diced it (it cooks faster when it’s diced) and seared it with some light seasoning. Thank goodness I had enough spinach to make a enough salad for everyone (hint, dinners look planned when you add a salad). Now, that I was no longer in panic mode, I was able to focus on the “review” part of dinner. Modern Table Meals actually contains plenty of protein on it’s own but I decided to add some turkey. This bag contains pasta with veggies and two seasoning packets. Directions are simple….put some water to boil and your dinner is on it’s way. Once your water has come to a boil, add your pasta/vegetable mix, boil for 8 -9 minutes. In the meantime, add water & some e.v.o.o. (extra virgin olive oil) and mix in your seasoning packet. I left out the chile seasoning since my little girls don’t eat spicy foods. Once my pasta was done, I added it to my seasoning mixture and my seared turkey. Voila, dinner was done! So for the taste test, I didn’t say anything to my family about the pasta being made out of Red Lentils. Instead I just waited for everyone’s response. Well, I am so happy to say it was a hit, everyone loved it! My 4 year asked for seconds and then thirds! My husband and I sprinkled the chile packet on our plates but in the future I would mix it with a little e.v.o.o. so it can be disbursed a little more evenly onto our servings. Ideally adding the chile packet to the seasoning mixture would yield the best taste but beware it’s spicy (but good). There was plenty for the four of us and we had leftovers. I highly recommend Modern Table Meals. The meal was easy and quick to make, the taste was delicious, the seasoning was spot on and the red lentil pasta was delicious. You can find Modern Table Meals at your local Whole Foods market and guess what – it’s affordable! This product is full of protein, fiber, GMO free, free of any artificial colors or preservatives and it tastes great! Thank you Modern Table Meals, I can’t wait to try the other 3 flavors. These meals will be in my regular dinner rotation. They are quick healthy dinner options that fit within our budget. I’m sold! 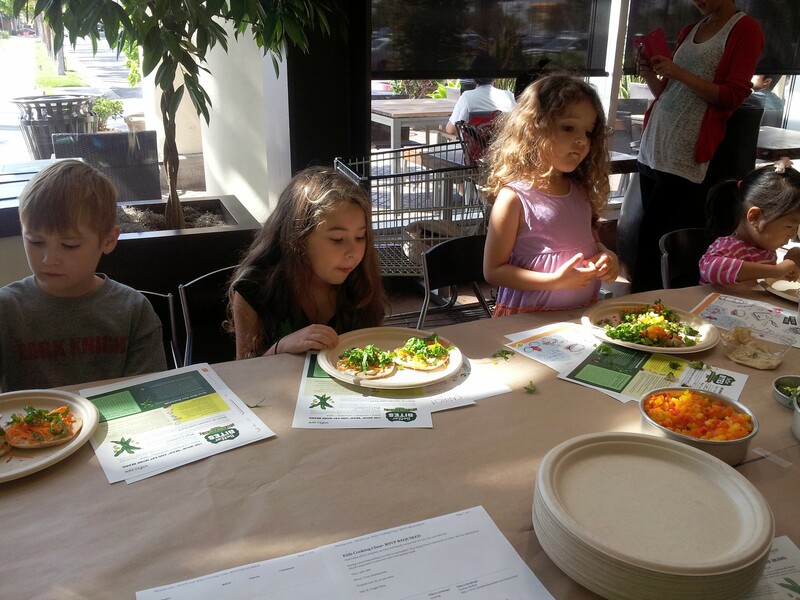 Whole Foods features a Whole Kids Cooking Club twice a month, my kids always enjoy this class. This focus of this hands-on class is for kids create simple to make dishes using healthy, colorful fruits and vegetables while having fun. 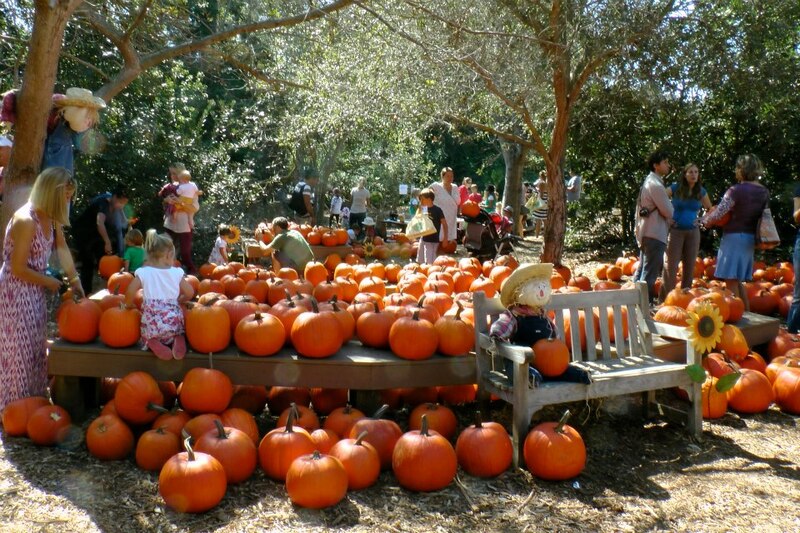 This month’s classes features spooky fun Halloween treats. 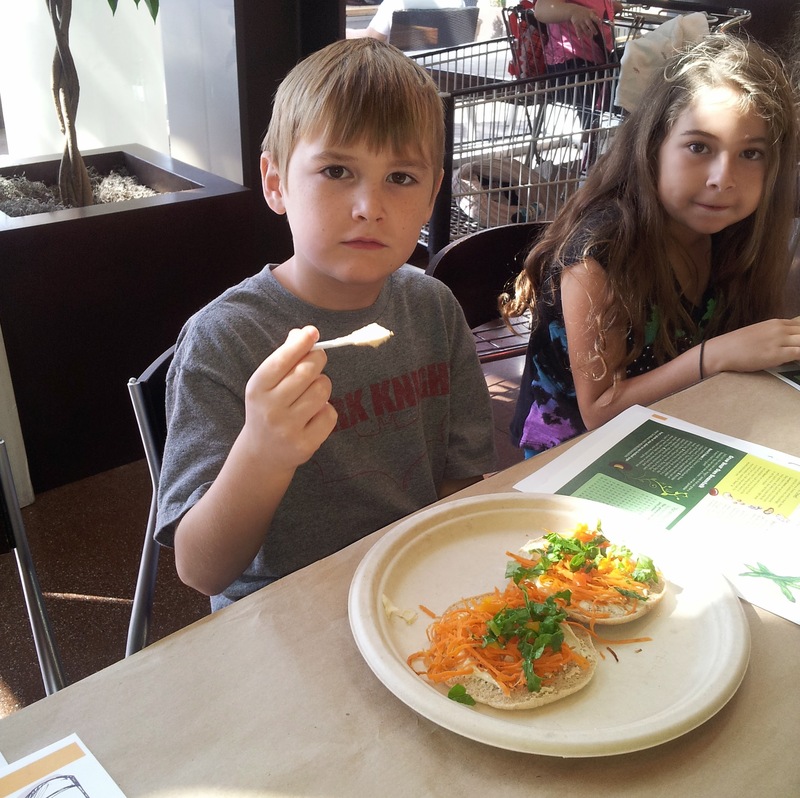 We attended another Whole Kids Cooking Club class at Whole Foods. 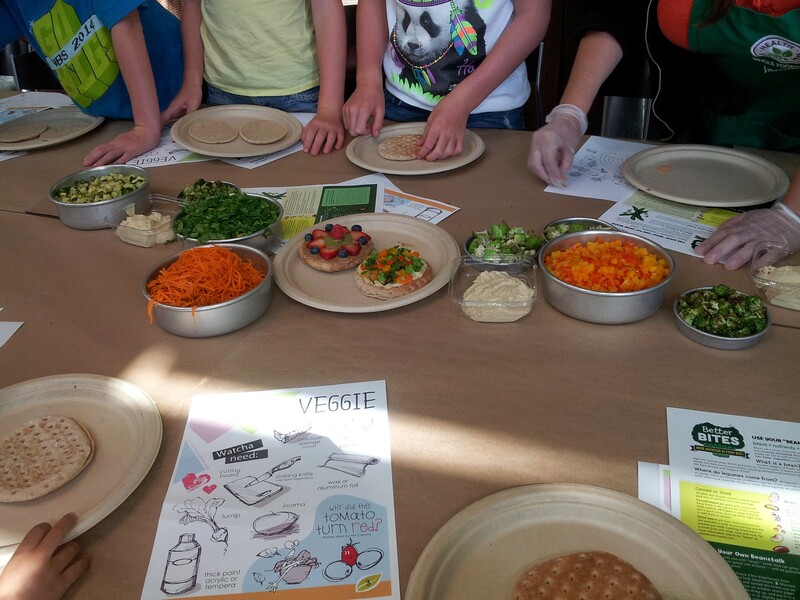 The Healthy Eating Specialist had two healthy vegetarian pizzas for the kids to create. One sweet and one savory. The savory pizza was made on sandwich thins, hummus with shredded carrots, broccoli, romanesco broccoli, red and yellow bell pepper, zucchini and spinach as their topping options. The sweet pizzas were made on flat sandwich thins made with with raisins and flax seeds. 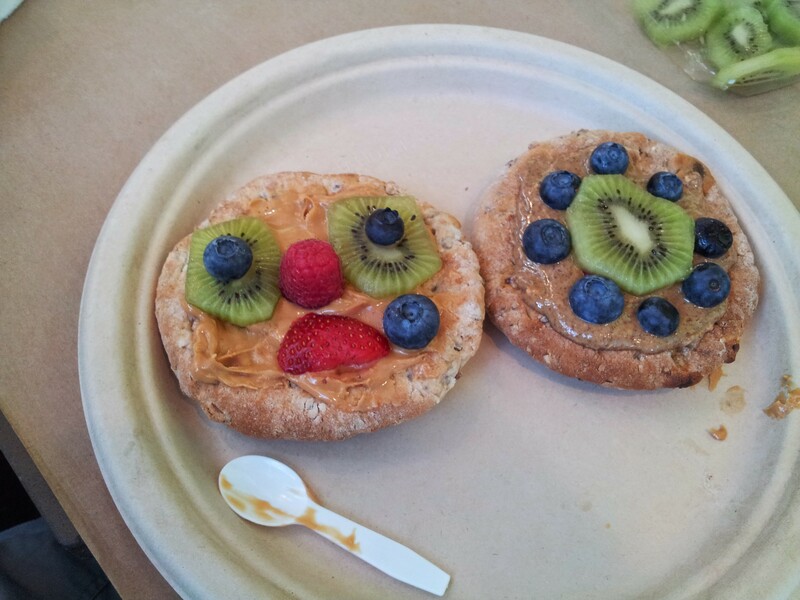 The topping options were peanut butter, almond butter, sliced strawberries, bananas, kiwi, blueberries & raspberries. None of the kids seemed to have a problem with any of these options. The kids loved making their pizza’s. It was fun and easy for them to do. My little one always digs right in there and throws all the ingredients on her plate. The funny thing is, if I would have offered my 7 year daughter and 6 year grandson romanesco broccoli earlier in the day they probably would’ve said no. In a setting like this however, they were all more then willing to eat it or at least try it. 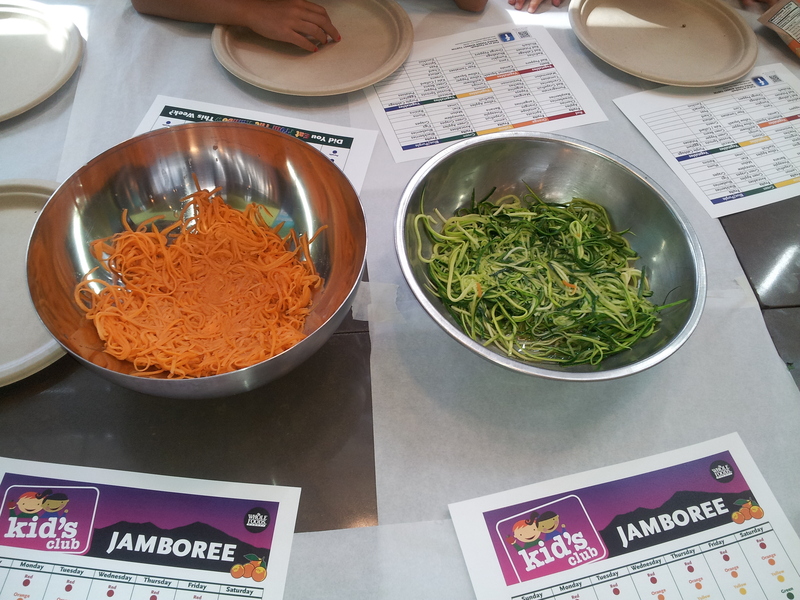 I recommend taking your picky eaters to Whole Foods for a Whole Kids Club cooking class. 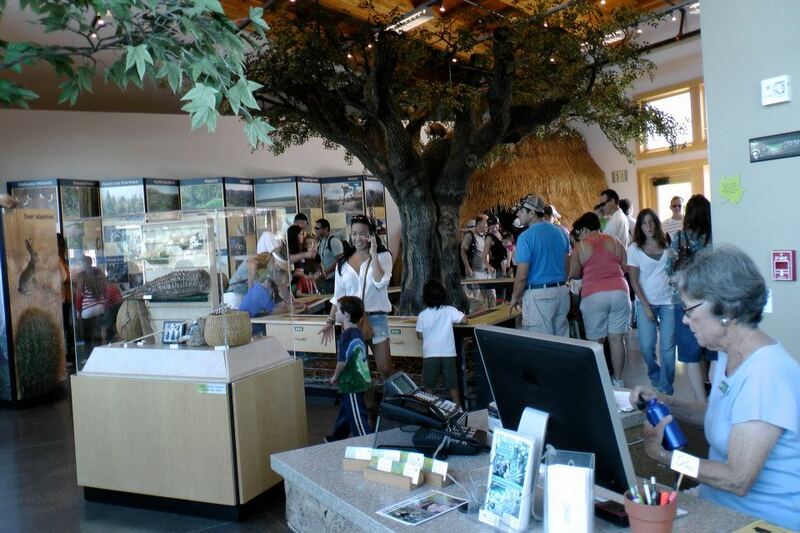 For $5.00, they provide a fun environment with kid friendly food ideas that empower kids to try new things. 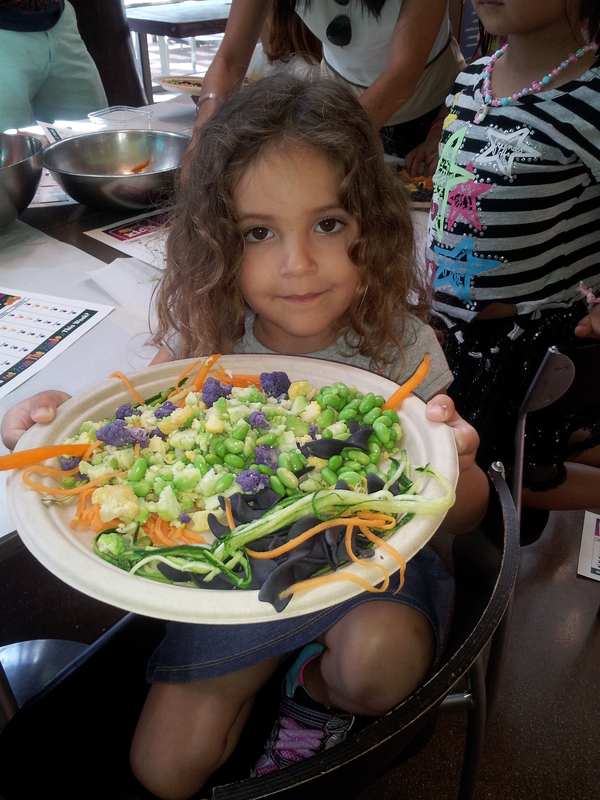 We attended the Whole Foods, Whole Kids Cooking club on Friday, “Cooking a Rainbow” was the theme. 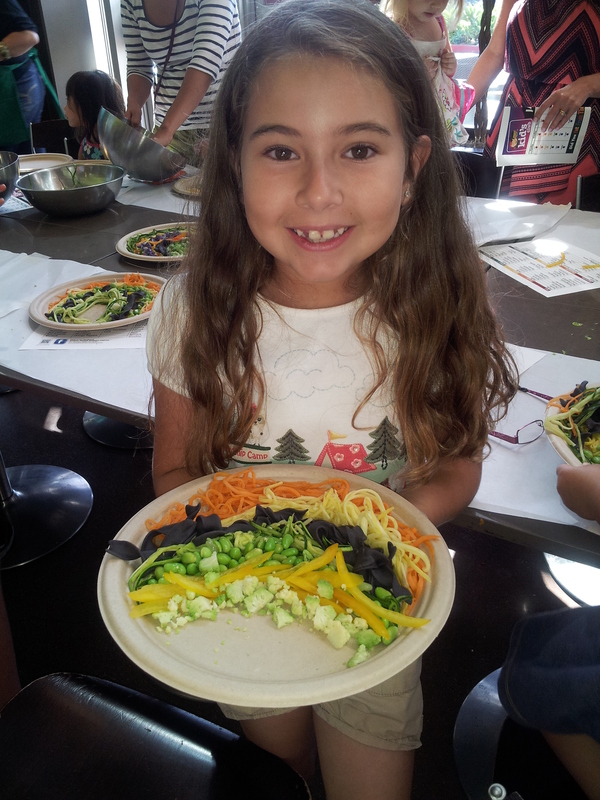 The goal of the cooking class was to support healthy eating habits by eating from a rainbow. This class was a hands healthy eating course for kids. 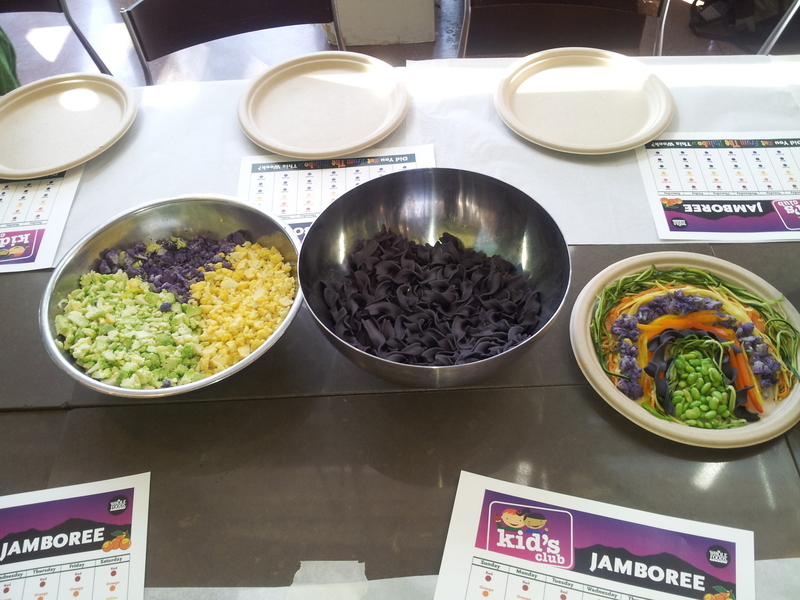 The host had an array of beautiful juliette sliced veggies such as sweet potato, squash, zucchini, finely chopped rainbow broccoli, edamame and a black bean pasta. The younger kids, 3-4, had a great time piling veggies on their plate and the 6+ age group arranged their veggies into beautiful rainbows. All of them were so proud of their creation. They topped their colorful plates with a warm marinara sauce. For dessert they were given slices of bananas, they scooped out the middle of the banana filled it with peanut butter and dipped the bottom in chocolate. Both of my girls loved it. Since the all the kids made such a big plate of veggies, my girls couldn’t even finish even a quarter of what was on the their plate. My husband and I were able to fest on the leftovers later on. Overall, this was a refining moment for all of us, the girls loved the veggies and I found a Black Bean pasta that I can’t wait to incorporate into a dish. 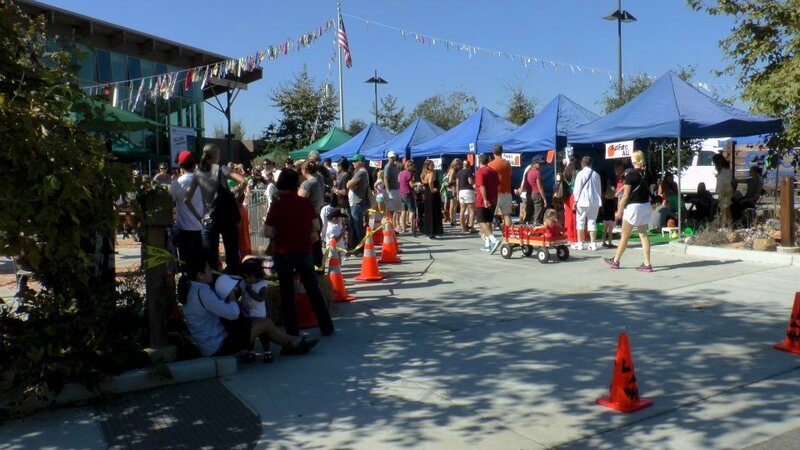 Our local Whole Foods has kids cooking classes twice a month for the cost of $5.00. They provided an abundance of ingredients (all of which were organic), my girls were able to try (and liked) the black bean pasta and my girls understood the concept of eating from a rainbow. Since the discussion was ripe for the taking, we walked around Whole Foods afterwards and discussed the importance healthy eating habits. I look forward to the next class.